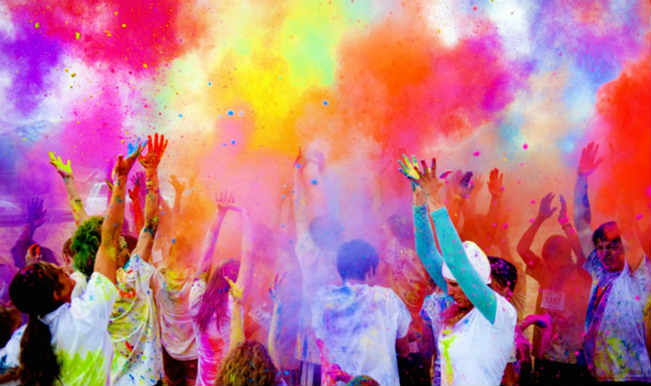 This Holi, have fun and play it safe by following these 8 not-to-be-avoided beauty tips for your skin, hair and eyes! Holi is a beautiful and fun festival that we all enjoy each year. But the day after Holi isn’t quite as much fun when you realize you have got all sorts of colors in places you can’t get it out off; under your nails, on your face, on your scalp. And when it’s time to go to school, or college, or work, you wish that you knew some way to treat the canvas that is now your body. So to help you out, we decided to share with you our favorite beauty tips for a safe and fun Holi. It’s the worst thing when you play with stubborn colors that refuse to wash off your face when you are getting ready to step out the next day. 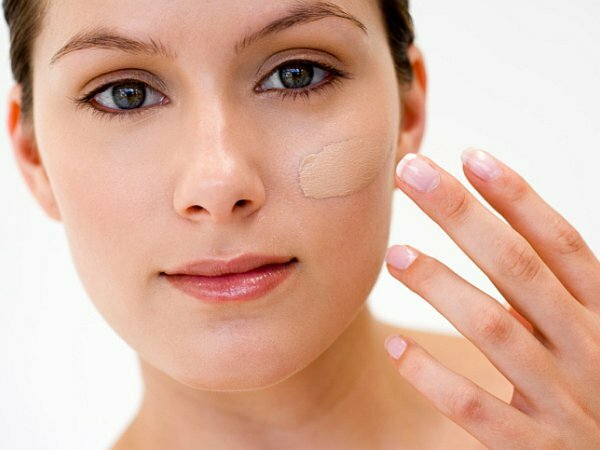 To help shield your skin from dark colors, try applying a coat of waterproof foundation all over your face and neck. This will protect the skin and prevent it from getting stained with the colors. Once you are done playing, use a makeup remover or cleansing milk to clean your face using a piece of cotton. The color and the foundation should come right off leaving your face looking as clear as ever. Your hair is bound to get knotted and full of color residue if you don’t do enough to protect it. Your mom must have always told you to oil your hair before going to play Holi. But we share this tip with a twist. Warm up some coconut oil and add some freshly squeezed lemon juice to it. Apply this mixture all over the scalp and also along the length of your hair to protect it and strengthen it at the same time. 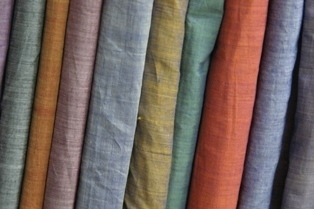 Most colors are made using synthetic chemicals which stick to your skin even days after Holi. Instead of the usual coconut oil, try applying some mustard oil instead which will protect your skin from the colors. Then, apply a layer of waterproof sun screen over it, at least 20 minutes before you step out to play. This will help the color wash off when you take a bath later. Color stained nails are not a pretty sight. In fact, the color stains the nails and refuses to budge for days. To avoid this, apply a coat of dark nail polish on your nails and then slather petroleum jelly around your cuticles and under your nails to prevent the color from staining. The skin on your lips is very delicate and sensitive and will catch color easily. To keep the color away, apply a generous amount of lip balm and then dab some waterproof sunscreen on your lips 15 to 20 minutes before stepping out to play. Avoid wearing lenses when playing Holi as you don’t want color getting into your eyes and compromising your lenses. 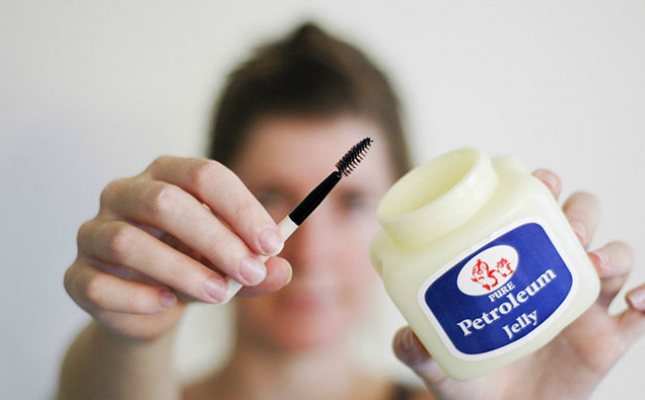 Also remember to apply a coat of petroleum jelly to your eyelashes and around your delicate eye area to keep the color from clinging to the skin here. Avoid waxing, threading, shaving or any other kind of facial or skin treatment 3 to 4 days before Holi. In most cases your skin is sensitive right after a beauty treatment and needs a few days to recover. Exposing this sensitive skin to synthetic Holi colors may cause irritation or an adverse skin reaction. Stick to light cotton clothes while playing Holi as they are the most comfortable. Synthetic clothes will stick to your body when you get wet whereas fabrics like denim will become heavy and uncomfortable. If you want to ensure minimum amount of body exposure to colors, wear dark colored, full sleeve clothes.